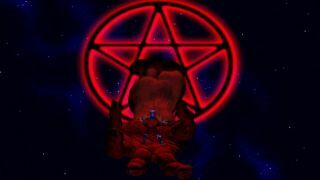 Wikipedia says the 1994 RPG Ultima VIII: Pagan had "a mixed reception," after which it notes that in 1996, Computer Gaming World ranked it as the 20th worst game of all time. It was "a once-great RPG series reduced to the level of Mario," CGW declared, "but with hateful, virtue-less characters." Ouch. On the other hand, it's free, for a limited time, by way of Origin's On the House program. If you haven't heard about On the House before now, it's really quite simple: EA marks a game on Origin down to zero, you grab it, and you keep it, even after the regular price has been restored. Previous On the House offerings include Bejeweled 3, Battlefield 3, Plants vs. Zombies, and the original Syndicate. Ultima VIII may not be in the same league as those games, but at no cost, there is literally no risk, aside from the loss of some data capacity for those of you stuck with download caps. (And even that's pretty minimal—the download is less than 40MB in size.) And it may not be as bad as we think we remember: A post-release patch fixed a lot of the game's original issues, including bugs, plot holes, and problems with the much-maligned jumping bits. And it's free! Everybody likes free. Scoop it up at Origin.